Shouting doesn’t get you anywhere. In fact, as soon as voices are raised, you’ve lost the argument and have little chance of resolving your differences. 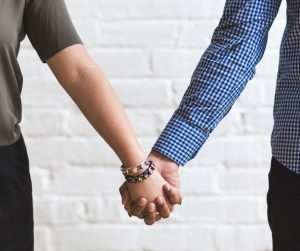 Often, couples will find themselves going over the same old ground, in the same way, becoming more and more frustrated and angry with each other. Once you turn the volume down and start to listen to each other, you can be more understanding and considerate of each other’s point of view. It’s good to express your opinions and sometimes a row can clear the air. But if you want to enjoy a more harmonious life together, it helps to curb your temper and work out your problems calmly and without conflict. Relationships are rather like a complex dance. Each has its own unique pace and rhythm which changes tempo all the time. Sometimes, feet get trodden on. Whoever fell out of step first is already off balance. And then, you’re both falling over yourselves and each other before finding your feet once again. Now, feelings are like feet. When they’re stamped on, they hurt. The pain sends a powerful message to the brain to run or fight. The music stops when this primeval ‘flight or fight’ response kicks in and that’s when the yelling often starts. The verbal quickstep that follows is often at top volume as the brain’s biochemical red alert triggers a barrage of criticism, recrimination and fury. Whoever the two left feet belonged to isn’t going to take accusations of being clumsy, incompetent or careless lying down. They’re going to kick back or leg it. Sound familiar? How many times have you taken a turn around the dance floor and ended up tripping over each other in the same undignified way? 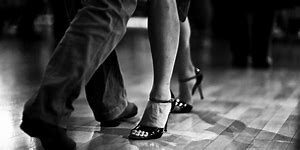 What’s frustrating is that the trip is often part of the routine, turning a wonderful waltz into a toxic tango time and time again. Take a moment to remind yourself why you got together in the first place. Think of a time when the passion, fun and excitement you enjoyed together helped you to get closer and want to share your life. This will draw your attention back to what’s good and away from what’s wrong until you calm down and can talk without shouting. An ‘attitude of gratitude’ is another way of focussing on the positives and valuing what each of you bring to the relationship. Trade compliments instead of insults and you may even find yourself laughing at how pointless or ridiculous it is to fight about the same issues over and again. When you feel like a team again, you’ll stop trying to score points off each other and start finding new winning strategies you’ll both enjoy the benefit of. When the insults start to fly and criticism becomes corrosive, put yourself in your partner’s shoes and hear what they’re hearing. If you’re whiny or aggressive, infantile or bullying, manipulative or controlling, you’ll soon start to realise how it feels to be on the receiving end of your own behaviour, regardless of how justified you may feel. You can’t hear yourself think never mind listen to what anyone has to say when one or both of you are shouting. There’s little that can be resolved when you’ve reached that emotional pitch. When the fury dies down, that’s the time to talk about making changes to resolve the conflict. If you still can’t let each other have their say, agree to five uninterrupted minutes to speak your mind in turn. A relationship without good communication is like a dance without music. If your life together has slowed to a drudge or is filled with drama and conflict, change the pace of your life. Speed it up and enjoy the ride or slow it down and smell the coffee. If you keep doing what you’ve always done, you’ll keep getting what you’ve always got. If shouting is the only way you communicate and one or both of you has emotionally departed from the relationship, maybe it’s time to find a new partner. It’s sad to say that half of long term partnerships don’t last the course. There is a point in some relationships where the shouting becomes so intimidating or abusive that it’s necessary for your own safety and wellbeing to part. When I talk to people who come to my clinic about their relationship issues, they will often respond to advice with a ‘Yes, but….’ or ‘I tried that then he said/she said…’ or ‘If only he/she changed this or that, then everything would be alright’. Stick with that mindset and nothing changes. When the shouting stops for long enough for you to draw breath, it’s time to reflect on your own behaviour because that’s something you have control over. You can’t change your partner. Only they can choose to do that. What you can change is your own patterns within the relationship and, when you do, your partner’s reaction to you will shift accordingly. Then, maybe, you can stop shouting and start talking about creating a happier, healthier life together.